Powell’s Fort Valley is often referred to as a valley within the valley, being centrally located in the greater Shenandoah Valley. 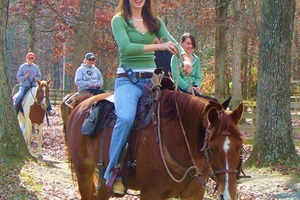 We are the only Shenandoah Valley horseback riding stable and campground with direct access to the National Forest. 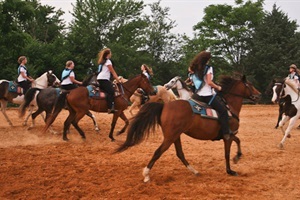 Fort Valley Ranch is located within minutes of Luray Caverns in Luray, VA and only 1.5 scenic hours from Northern Virginia and Washington, DC. 350 beautiful acres nestled between the Blue Ridge Mountains and the George Washington National Forest, with over one mile of shoreline along the North Fork of the Shenandoah River. 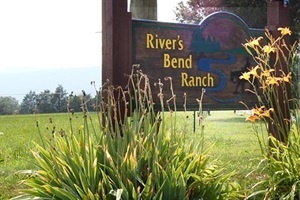 River’s Bend Ranch is a working Quarter Horse and Cattle Ranch with the unexpected, we also are a Guest Ranch. Fully equipped Ranch House, Bunk House and luxury Cabins are awaiting your arrival. We are within a short drive to Luray Caverns, the quaint town of Luray and Skyline Drive. We cater to individuals, couples,families and groups with over 20 bedrooms onsite.